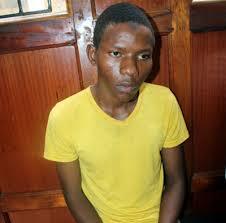 A Nairobi court prosecutor, Mr Eddy Kadebe presented in court a medical letter from Kamiti Prison in Nairobi, indicating that the terror suspect Mr Rashid Charles Mberesero is mentally ill thus cannot stand trial. Mr Mberesero through his advocate Mr Chacha Mwita strongly denied that he was unwell mentally. He explained to the court through his lawyer that a Kamiti Maximum Prison medical officer forced an injection on him that later caused him headaches, as he had not complained of any sickness. As a result of the dilemma, Nairobi Chief Magistrate Daniel Ogembo had to order for the trial adjournment and directed that the accused be taken to Nairobi’s Mathare Mental hospital for re-examination of his mental fitness. The Nairobi Court Magistrate further summoned Kamiti Maximum Prison officials to appear before the court in the next mention date to explain the complaints by the accused person of being injected with harmful drugs without his consent. Mberesero had been charged alongside four others; Mohamed Ali Abdikar, Hassan Aden Hassan, Sahal Diriye and Osman Abdi who are thought to be Kenyan and Somali nationals. The five are accused of involvement in terrorist activities at Garissa University in North Eastern Kenya April 2, 2015 that led to the deaths of 148 people. The case will be mentioned on October 3, 2016. Garissa Town, in the North Eastern Province around 200 km from the border with Somalia, was considered as “one of the safest spots” in the region until the deadly attack. The attack happened after gunmen took over 700 student’s hostage, freeing Muslims and killing those who were identified as Christians. The siege ended the same day, when all four of the attackers were killed by Kenyan Military. The five suspects were later arrested in connection with the attack. Somali’s Al-Shabab terror group later claimed the attack and said they attacked the university because it is at war with Kenya since 2011, when Kenya Defence Forces entered in an effort to stop the Islamists from crossing the long, porous border between the two countries and kidnapping people – but their presence achieved the opposite effect, provoking Al-Shabab to increase its activity in Kenya. Al-Shabab was also behind the Westgate shopping mall attack in Nairobi, where 67 people were killed.